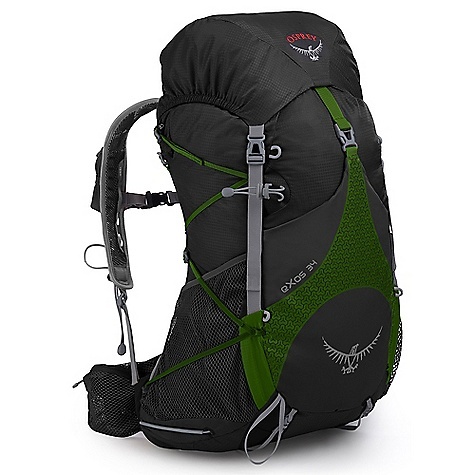 I used this pack for my 2013 Appalachian Trail thru hike, and loved it. 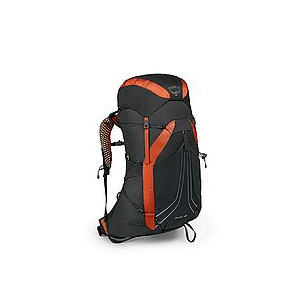 For backpackers concerned with minimizing pack weight, and carrying minimal gear, this pack is an excellent choice. Overall a great ultralight pack for multi-day backpacking trips. I would definitely recommend it! 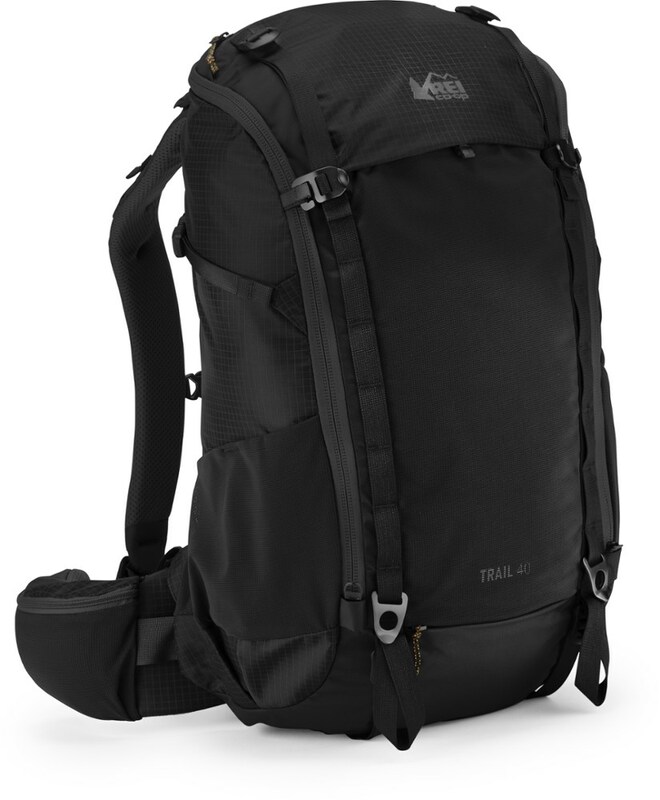 The Exos is a great pack for minimalists going on multi-day hikes. The Exos's smaller loading capacity makes strategic packing a necessity for the user — not a lot of space for extra knick-knacks. The Exos doesn't carry heavier loads as well as some packs, but if you can get your pack weight under 30 lbs, the pack does a good job of distributing the weight. Aside from minor rips in meshing — easily fixable with a needle and some dental floss!— my pack held up beautifully for me, and didn't develop any major issues until after about five months of heavy daily use, when the foam core in one of the shoulder straps tore. Overall, great pack for the lightweight backpacker! This is an almost-full-feature pack at an almost-ultralight weight (just under 2 lbs with the top part removed). 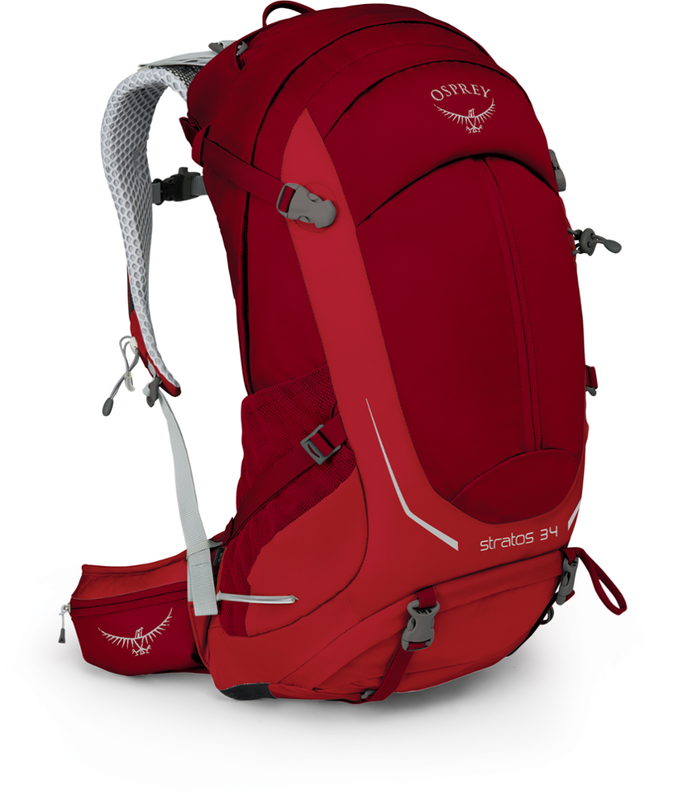 Osprey did a good job of striking that balance -- there are more options for organization than most lighter packs, and few packs offer this level of toughness at this weight. It is ideal for hot weather and versatile enough for lots of uses (light enough for dayhikes, expandable enough for 3-4 day trips). The combination of ~2 lb weight, an internal frame w/mesh suspension, and the lifetime warranty sold me on this pack. 3 years and several hundred trail miles later, I have no regrets. Most of my trips are in warm weather so the backpanel design is wonderful — no more sweaty back (nice when the nights turn cool)! The mesh is not quite as cushy as foam, but all in all a tradeoff that is well worth the breathability and weight savings. To achieve the low weight, Osprey left off some things: there is one drawstring main compartment, one large zippered compartment, one large elastic pocket, and some fairly minimal drink holders/hip pockets/tie-downs (in addition to the top part which I rarely carry). I use a ~1-oz silnylon toiletry bag to keep the small stuff organized so I'd rather have lightness than lots of zippers. The compression straps are well-placed and robust; I use it for dayhikes because I can cinch it down real tight, and it's as light or lighter than most dayhike-oriented bags...also a lot more comfortable. The adjustability is quite good too with easily tweaked sternum and shoulder straps. The hipbelt is where the mesh/strap combination is the most noticeable; it's not uncomfortable, very light and breathable, but not as comfy to me as a foam belt. Beyond about 35 lbs it starts to feel overloaded. The pack is well made. Everything on it still works like new after years of pretty rough use...with one exception. After a few months I noticed some soak-through on a rainy trip. Some spray-on DWR addressed that and it's been watertight ever since. The Osprey Exos 46 was surprisingly versatile for me (57-year-old female) as I moved into lighter backpacking on a 9 day solo trip in California's coast range and shorter trips on the Sierra. I've been pleased with the comfort over long hauls, space available for multiday trips, and ease of taking the bag on and off. I liked the multiple large pockets that accommodated paperwork and maps, my sleeping bag, liner and pad, small items like first aid kit and toiletries, and electronics, solar charger, camera and binocs for rapid access. Really cut down on the need for stuff and ditty bags! The shape of the pack is great for using as a pillow rest, as the nice curve cups your back and shoulders and prevents sliding. I found that the Bear Vault 500 or 450 is just a bit too wide to use easily in the pack. They'll fit, but it's a real pain to get them in and out. As others have noted, the side pockets are too tight to be variously useful, but I've found that they will hold the tyvek for under my tent, water shoes, a slim poop tube, and other items that I would rather not pack inside the pack. There is a need for a good front pocket to hold an accessible water bottle for those of us who want that feature. Also would be nice to have front strap pocket(s) to hold a small camera and/or binoculars. The mesh pockets on the waist strap are pretty useless and hard to see to get to, and with the straps flapping around as I take off the pack, I don't want to put my little camera or binoculars or telephone there. I wish that the pocket under the top would be accessible from the side so that you didn't have to open the pack to get to it. My solar charger (Goal Zero) straps perfectly to the top of the pack for charging, and can easily be rigged to safely store there when the sun is down. Excellent pack with some problems that may cause problems for unprepared users. I bought this pack in 2010 for use on the Camino de Santiago. I carried it over 800 km of Spain and after that for two years in Finland and still use it regurlarly. For my uses it is simply excellent. It fits me like a glove and is very comfortable. I can fit everything for a summer week or winter weekend into it (note: I travel very light!). On my last hike, I had to swim over a cold river in late September. I was positively surprised, when the inside of the pack remained dry despite a short immersion. Long term soaking will probably lead to wet gear. Then the bad stuff. Though it fits me well, most of my friends despise it. The adjustability is poor so you need to make sure you have the right size of pack! There are several sizes of this pack and they all have a different back length. Find the right one! I find the side mesh pockets to be too small to be usefull and too tight when the pack is stuffed. The straps for fastening a sleeping pad are too far back and will only hold a very light pad in place without bouncing. Also having an axe fixed to the outside causes problems as the blade will hit any affixed pad. In short I like the EXOS a lot and would recommend it. Some thought has to be used before purchase. 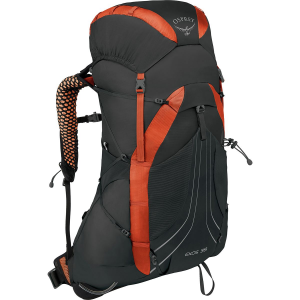 This is a lightweight pack with no extras, so adjustability and versatility are not as good as on a heavier pack. If you need a pack for very long hikes between villages or general weekend use and have the time to find the right size, buy this. If you want a pack with lots of pockets and great adjustability, buy something else. This is the best backpack ever! I finally gave up on my GoLite Jam pack. It was way light. But with no load lifters and no frame (obviously) it just wasn't comfortable. As I get older I want more comfort. yes I keep everything light, with a base weight of under 10 lbs, but since Osprey came out with this pack I can have my cake and eat it too! This pack is great for weekend trips or just the simple overnight voyage. Lots of gear space and great for those just starting out on their mountaineering journeys! Overall I love this product. I've had it for a little while and have taken it on many adventures with me including an Australian adventure. There is a of room and many features that make it wonderful to travel with. The top compartment is great for the things I use most like my camera and snacks, and my frisbee of course. The angled side pockets make access to water quick and easy, and we all know it can be annoying when we can't get to our water. This product is wonderful for and level of adventurer! I do believe it is time for an upgrade for me however. 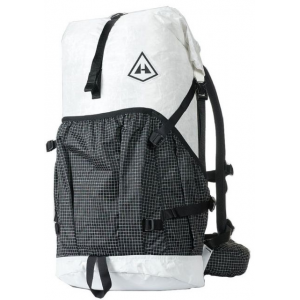 Well engineered, very lightweight and durable, this pack is an excellent value. I needed the internal frame to put all the weight on my hips, but it does space the weight off your back a couple inches for venting. Very lightweight ~2 lbs with the top pocket removed. So far very durable, 3 trips for me with no wear signs. I have been on 3 fall trips of 3 days each in the Sierras with this pack, and am not a very experienced backpacker. The medium size offered a very good fit for me, 5'10" and 150 lbs, making for a reasonably comfortable way to hang about 25 lbs on my back. The light weight and and internal frame were paramount, when I found a black one for $150 I bought it. I have had no trouble adjusting the hip/sternum/shoulder straps on the move to stay comfortable. The webbed pockets are very useful as I can see whats in them and they have been durable. The back venting works well, but the few inch spacing throws off your center of mass a bit for climbing, running, bushwacking, etc. while wearing this pack. I sometimes put my water bladder in this gap but its the main drawback, I'd eliminate or at least reduce this gap to 1/2" at most if I were optimizing the re-engineering of this pack and maybe save a a little weight in the process. A couple of big main pockets offers all the organization I need for a bunch of zip lock bags. I just use the main compartment as a stuff sack for my sleeping bag in a bivy sack. There are loops for hiking sticks on the side and for a sleeping mat on the bottom, I use small bungees to mount a bear can on the top but another pair of loops would be useful there also. Overall I can highly recommend this pack. I am not aware of a framed pack that is lighter, and if I find one, I will be getting it. I looked at this bag because a review I read said it had a great weight transfer susupension system. I took it home and packed it up and it's true, the aluminum sub frame keeps the pack away from your back and weight is transfered to the hips. My only problem is it is a bit narrow, or maybe my sleeping bag is too big! Largest pack space a bit narrow. 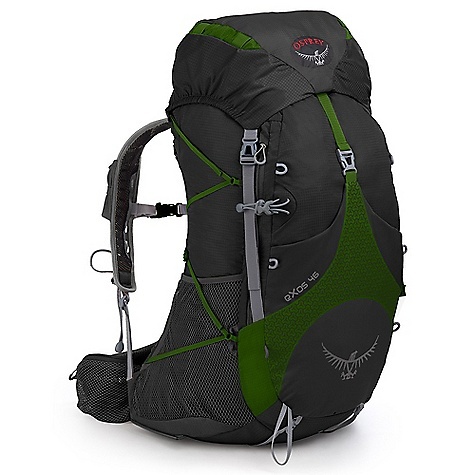 I am new to long distance hiking and looked at this bag because I heard it has a great suspension system. Also it is very lightweight at 2 pounds, 5 ounces. It has an aluminum frame and mesh that keep the bag away from your back. The weight is transferred to the hip belt, which is comfortable but not heavily padded. I fit all my gear in it but had trouble with the sleeping bag, as the main compartment is a bit narrow, or maybe my sleeping bag is too big. I have not been out with it yet, but the pack felt good when I tried it on. It has an extra fron compartment, and it has a removable cap piece and mesh compartments on the side and on the belt, plus loops for your hiking sticks and your sleeping pad. So far I am very satisfied with the pack. It came in a few sizes, I got the women's medium. Love this pack! For a week or for just a day this pack is great. Comfortable and durable. Perfect for my gear — no dangles on the outside of pack. Mesh hip pockets absorb dirt and moisture. I have been lightening and lessening the volume of my packed items and was ready for a lighter pack, but not completely ready for a frameless pack. I had always thought that when I was ready for a smaller/lighter pack, I would buy from a cottage company, but then I stumbled upon the Exos. My pack weight with food, two lts of water, and gear for a week in CO this summer weighed 30 lbs — which is pushing the Exos out of the recommended comfort range — but the pack still carried comfortably. I was so surprised that my Bear Vault 500 fit INSIDE the pack! I have the size small so it is really only 43lts. I often have the pack stuffed, yet after a years use I have not seen any seams stressing or mesh pulling from the frame, or breakage with buckles or straps. I love the confidence of knowing Osprey has a lifetime guarantee from any type of damage. Just the right number of pockets to stay organized. Light enough and compresses down to use as a great day pack too. Absolutely love this pack. It is lightweight, spacious, and affordable. Great pack! I bought this pack prior to a weekend outing on the Ozark Highland Trail. I was able to pack all my stuff with room to spare. I do go more ultralight and the Exos series are extremely light packs. I also got lots of compliments as well. With the lifetime warranty you can't go wrong. The fit was comfortable and with the air suspension I did not have a huge wet spot on my back after a long day. At 2#2oz. this is the pack to take day hiking or an extended backpack. Keep the weight under 30# and the weight transfer system makes it feel like it's not even there. Just finished an 80-mile trek with this pack at 26#. Myself dressed with commando shorts, tank top, trail running shoes and sunhat. I could practically run down the trail, and when I reached camp I sometimes went about other chores before taking the pack off because I wasn't worn out from it. Only complaint is I would like water bottle holsters up front on the waist belt instead of those zipper pockets. Now in July of 2013 I keep trying to get my pack lighter and then some, so I get these ruck sacks with straps that weigh all of 9 ounces and I have managed to get every thing inside them except for my food. When I put it on and it is around 6-8 # the thing kills me. So I load it all back in my Osprey and go skipping down the trail never happier. If I change packs now it will most likely be to the Exos 36 by Osprey. Just a slightly smaller version of this one. Can never say enough good things about this pack. This is one of the best "light" backpacks around. This is one of the best "light" backpacks around. Since going ultralight I have tried several frame-less packs, Granite Gear Virga, GoLite Jam, Jam2 and litespeed etc. I have discovered that even with only 15-20 lb load I prefer a frame. i used to have the Atmos 65. As "regular", i.e. heavy, backpacker I needed that volume for all the heavy and extraneous gear I carried. Comfortable pack, but the Airspeed suspension was too deep and ate up internal volume. The new Exos has as many features and more and only weighs 37 oz ! plus they got the Airspeed suspension right on the Exos, deep enough to let air circulate on your back, shallow enough not to diminish the volume of the main compartment. I am not sure what the other reviewer is complaining about when he talks about the hip belt. I am only 5' 7" and weigh 220 lbs and the belt is fine for me! Go Strong and Go Light! this is a really nice pack and very well deserving of its high rating. Great product, just didn't fit, and the hip belt is sewed on. I think it would work great on someone with a waist under 32". Thought it would cut me in half with 25#. metal frame spring (this elliptical thing) falls apart finally almost every odd time you move bag from both sholders to one. You allways have to have a flat screwdriver to fix it. Strained back mesh sewn seams are weak points in construction - started to rip off after just 1 month of normal use. Advertised volume is 49 littres for size L. I think that in comparision with other brands, this may seem to be 35 + 14. This means that total volume includes all "added" volume of side mesh pockets, pushing up lid and including external back pocket. All straps etc are very nicely designed and right in place. Have used this pack in Ladakh for one month. Mostly mountain trekking with all self suficiency items with me. Total packed weight was variable from 10 to 14 kgs. The Osprey Exos 46 is not available from the stores we monitor. It was last seen October 31, 2015	at REI.